The first half of the twentieth century witnessed a wave of Filipino immigration to the United States, following in the footsteps of earlier Chinese and Japanese immigrants, the first and second “Asiatic invasions.” Perceived as alien because of their Asian ethnicity yet legally defined as American nationals granted more rights than other immigrants, Filipino American national identity was built upon the shifting sands of contradiction, ambiguity, and hostility. Rick Baldoz explores the complex relationship between Filipinos and the US by looking at the politics of immigration, race, and citizenship on both sides of the Philippine-American divide: internationally through an examination of American imperial ascendancy and domestically through an exploration of the social formation of Filipino communities in the United States. He reveals how American practices of racial exclusion repeatedly collided with the imperatives of US overseas expansion. A unique portrait of the Filipino American experience, The Third Asiatic Invasion links the Filipino experience to that of Puerto Ricans, Mexicans, Chinese, and Native Americans among others, revealing how the politics of exclusion played out over time against different population groups. 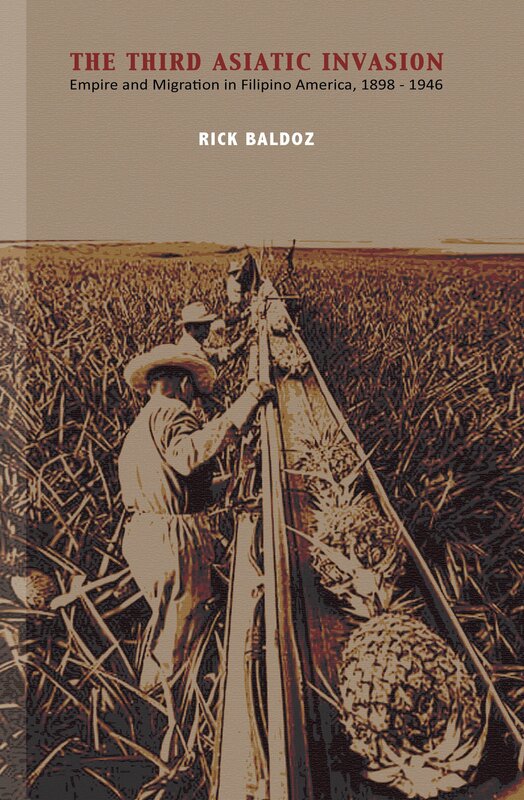 Weaving together an impressive range of materials—including newspapers, government reports, legal documents, and archival sources—into a seamless narrative, Baldoz illustrates how the anomalous status of Filipinos played a significant role in transforming the politics of race, immigration, and nationality in the United States. Rick Baldoz teaches in the Department of Sociology at Oberlin College. Copyright © 2017 University of the Philippines Press. All Rights Reserved.